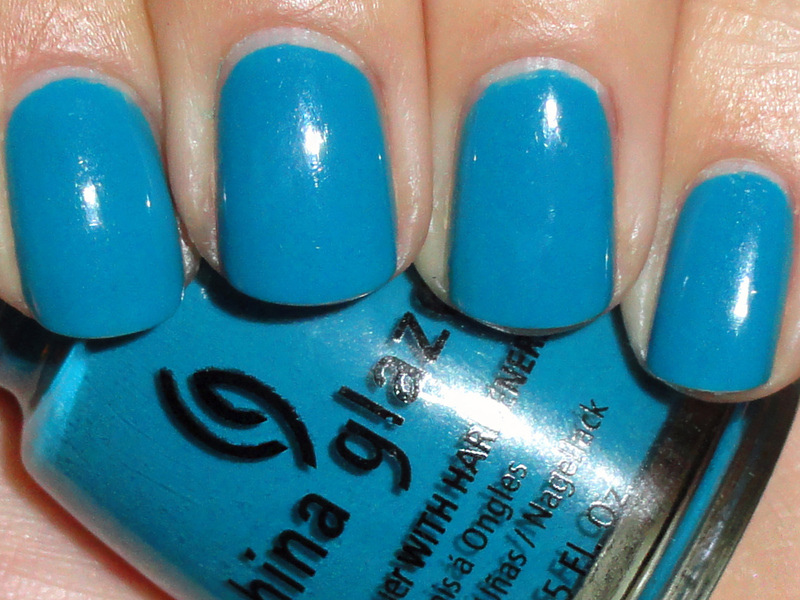 The Eco Collection by China Glaze came out in Spring 2008, about a year before I got into the polish scene. Unfortunate because I missed some good lacquer seasons before my habit kicked in. The Eco Collection was a small but great collection that centered on an earth conscious theme. "To preserve the beauty of our world’s colors, tread lightly and leave only footprints. In Blahniks or Birkenstocks, going green is always fashionable." 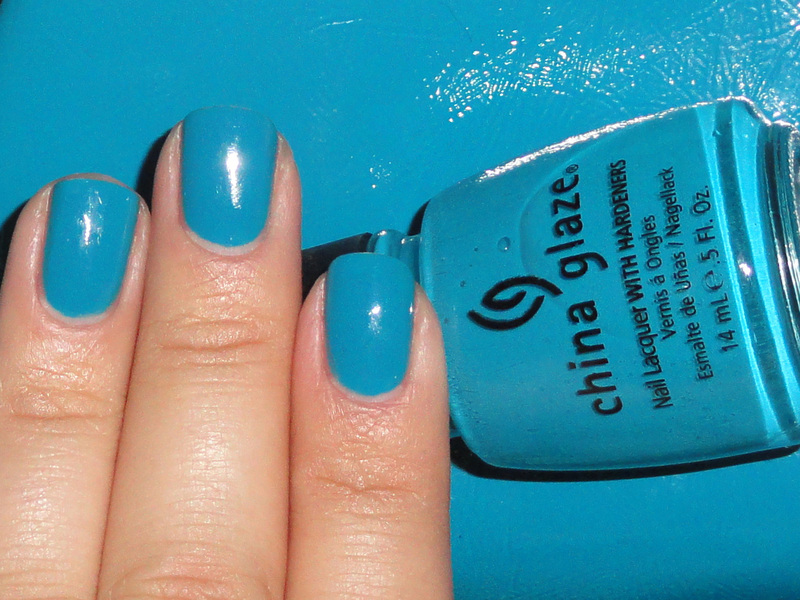 Shower Together is a gorgeous water blue jelly crème that was opaque in two coats. This polish has the most excellent formula ever. Seriously one of the best polishes I've used in a LONG time. I borrowed this from a friend but will definitely need to scrounge up my own bottle soon.